Multi-disciplinary design practice, rg+p and developer, Kier Living have submitted a reserved matters planning application for 307 residential dwellings for land off Bevan Road. The application follows feedback from a public consultation event held at the neighbouring Glebelands Primary School in March 2018 and includes the provision of both private residential and affordable homes in a mix of one and two bedroom apartments together with two to five bedroom homes. Andy Ward, associate planning consultant at rg+p commented: “Ashton Green is an ambitious and sustainable new project that is both a landmark scheme for Leicester and our practice. 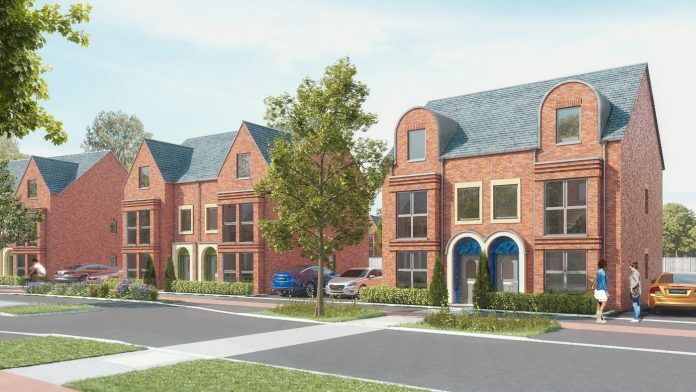 “Our design includes different character areas that specifically reference Leicester’s heritage; the Victorian villa, Edwardian terrace and village street, and these are being distilled to a design code that will deliver a fresh architectural response and interpretation in the provision of quality new homes. rg+p has been retained in a multi-disciplinary capacity on Ashton Green, acting as architects, master planners, urban designers, planning consultants and landscape architects. If the planning application is successful, work is estimated to commence on site in spring 2019.